Just like most Creative Cloud subscribers, we recently updated each of the CC apps we use to their recently released “2019” versions. Some of our more ambitious staff members jumped into the fray, selected “Update All” from the Creative Cloud menu window and updated everything in one fell swoop. Not long after, those early adopters observed that Photoshop’s Transform tool was behaving uncharacteristically. Photoshop’s Transform functionality traditionally scales an element “freely” meaning that you are able to resize that element horizontally or vertically, without proportional constraint, to your heart’s content. Clearly, non-constrained scaling is not preferred as this typically results in a more-or-less distorted image, shape or text. The natural fix for this disproportional scaling behavior is holding the “Shift” key as you drag the element’s resize handles which constrains the element’s horizontal and vertical proportions yielding a properly scaled, undistorted image, shape, etc. 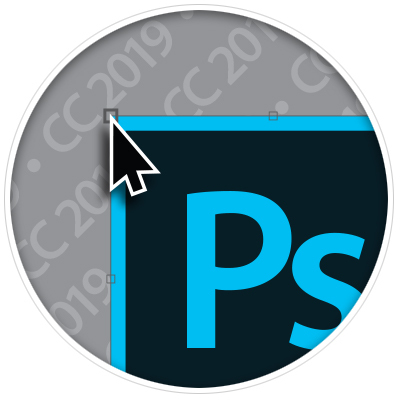 That said, we discovered that the 2019 version of photoshop was not constraining elements, as expected, when the Shift key was used in conjunction with the transform. After trying several other key combinations we eventually learned that the 2019 version of the application alters the traditional functionality of transform scaling so that proportions are constrained by default. In short, you no longer have to hold the Shift key when scaling. Now, this update is all fine and good and it makes perfect sense that the Adobe team has chosen to change this behavior. After all, if it’s generally more appropriate to scale an element proportionally, why would you want to have to use modifier key combinations to achieve that preferred behavior? The problem is not Photoshop’s updated functionality, but that many of us have become accustomed to the traditional behavior of holding the Shift key whilst we scale. In fact, the 2019 versions of Illustrator and Indesign still require the Shift to be held while scaling an element to hold its proportions in check. So, yes, this is really just a matter of teaching new tricks to old dogs. Still, we found a method to restore the legacy functionality of Photoshop’s transform feature and we thought that others might benefit from our sharing it. Create a “.txt” document in NotePad (Windows) or TextEdit (MacOS). Save the text document as “PSUserConfig.txt”. Launch Photoshop and enjoy the good old days!